Mennonite Home Mission Staff in 1894/95. Back (L-R): Aaron Loucks, S. F. Coffman, DeWitt Good; Front (L-R): Melinda Ebersole, Alice Thut, Mary Denlinger, Barbara Sherk. Mennonite Home Mission (Mennonite Church) was a congregation located at 1907 South Union Avenue, Chicago, Illinois, a member of the Illinois Conference, was started as a mission station in 1893 by Dr. S. D. Ebersole, Dr. W. B. Page, M. S. Steiner, and John S. Coffman, assisted by Mennonite medical students and other Mennonites living in Chicago. It had its beginning in a four-story building at 639 West 18th Street. From there it moved to its 1956 location. By 1956 there had been 17 different nationalities represented in the church and 20 in the Sunday school. In the 1956 membership of 123, about 50 per cent were of non-Mennonite background. The ministers in charge of the church in 1956 were Laurence M. Horst and James Christophel (licensed minister). One of the outstanding events in the history of the congregation was a combined missionary meeting, dedication service, and twenty-fifth anniversary celebration, which lasted four days in January 1919. The outstanding superintendent in the history of the mission was A. Hershey Leaman (1878-1950), who served the mission as pastor 1905-1920. In 1957 the church was forced to move when the city decided to build an expressway that included the mission property. The new location at 832 West 68th Street became the Englewood Mennonite Church. Some services continued at the old location until 1959. Oyer, Emma. What God Hath Wrought. Elkhart, IN: Mennonite Board of Missions and Charities, 1949. 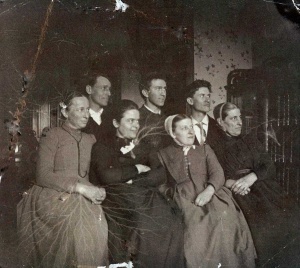 Smith, Willard H. Mennonites in Illinois. Scottdale, PA: Herald Press, 1983: 274, 430. Lehman, Earl. "Mennonite Home Mission (Chicago, Illinois, USA)." Global Anabaptist Mennonite Encyclopedia Online. 1957. Web. 26 Apr 2019. http://gameo.org/index.php?title=Mennonite_Home_Mission_(Chicago,_Illinois,_USA)&oldid=130367. Lehman, Earl. (1957). Mennonite Home Mission (Chicago, Illinois, USA). Global Anabaptist Mennonite Encyclopedia Online. Retrieved 26 April 2019, from http://gameo.org/index.php?title=Mennonite_Home_Mission_(Chicago,_Illinois,_USA)&oldid=130367. Adapted by permission of Herald Press, Harrisonburg, Virginia, from Mennonite Encyclopedia, Vol. 3, p. 628. All rights reserved. This page was last modified on 2 January 2015, at 18:07.